Our team joined Bobcat Robotics FTC #10253 and #14198, and PUSH Excel at the Rainbow PUSH Coalition annual convention. The purpose of the outreach was to promote STEM in education. We drove our robot in the lobby area of the convention to try and bring the guests into the robotics demonstration room. 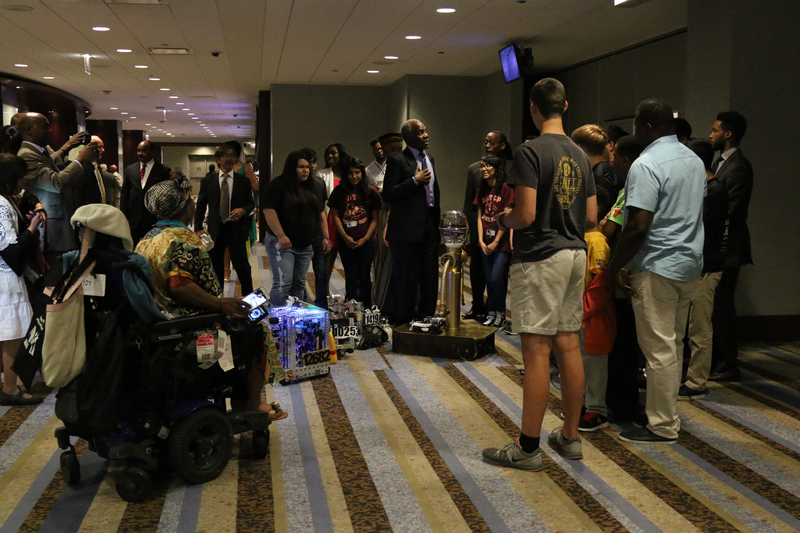 We had the chance to meet Jesse Jackson, Danny Glover and Abe Thompson and we were able to introduce them to FIRST and show them our robot. We also talked to Morris Smith Sr. Manager of Public Affairs and Communications for Coca Cola and John Gremer, Director of Communications of Community Affairs for Walgreens.